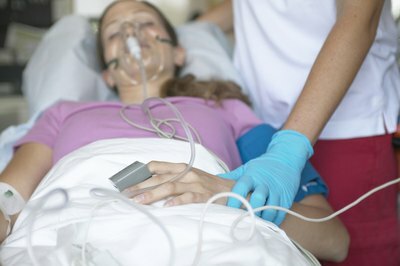 Respiratory therapists and registered nurses are educated differently, although they may have similar degrees. Switching your career from respiratory therapy to nursing will take some time and effort, but it can be done. As a respiratory therapist you may have already met some of the prerequisites for an RN program or taken classes you can use to meet elective requirements. Some programs are specifically designed to help you progress from one career to another. Respiratory therapists typically have either an associate or a bachelor’s degree in respiratory therapy, according to the U.S. Bureau of Labor Statistics. Registered nurses might have a nursing diploma from a hospital-based school of nursing or an associate or bachelor’s degree in nursing. Any of the three programs allows the newly-graduated nurse to take the NCLEX-RN licensing exam. Some of the courses in RT and RN programs are the same, such as anatomy and physiology. 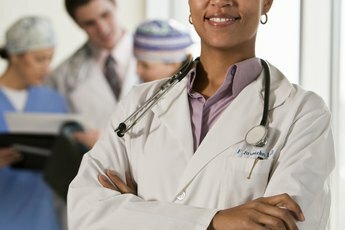 An RT who wants to become an RN has three options: start from scratch in a nursing program, complete a bridge program or complete an accelerated degree. Your current educational attainments may make a difference, as does your choice of an RN program. Diploma nursing programs, for example, may or may not be affiliated with community colleges and universities. If you choose a diploma program, you might need to start over from scratch or you might be able to obtain credit for college courses you’ve already taken that meet the diploma requirements. Such courses could include chemistry or microbiology, for example. Each diploma program may have different requirements. Some colleges and universities offer what are called bridge programs. Designed specifically for RTs and other allied health professionals, such as paramedics or practical nurses to become RNs, bridge programs build on your previous education and experience. RTs often enter the nursing program in the second year and graduate within one year, according to Kansas City Kansas Community College. Bridge programs may have prerequisites, so the prospective student should research them carefully. An additional semester or more may be required to complete prerequisites before entry into the bridge program. 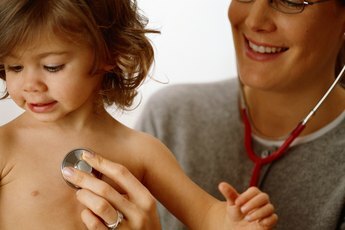 An accelerated degree program could be a good choice for the RT who already has a bachelor’s degree, especially if you want to go on for advanced practice nursing or management roles. Accelerated programs, like bridge programs, build on the applicant’s previous education, but a bachelor’s degree is required for admission. As of 2011, 43 states offered accelerated programs for either a bachelor’s or a master’s degree in nursing, according to the American Association of Colleges of Nursing. An accelerated bachelor’s program takes 11 to 18 months and an accelerated master’s program takes about three years, according to the AACN.